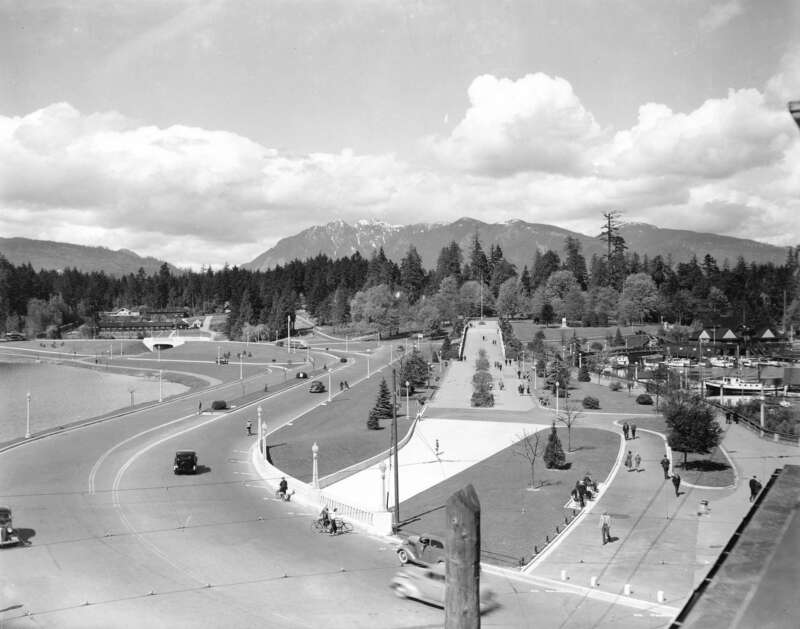 Stanley Park is Vancouver’s favourite outdoor recreation destination in the heart of the city. With over 8 million annual visitors, this National Historic Site has been ranked among the top city parks in the world. We enjoy its Seawall, forest trails, attractions, beaches, rose garden, and how it provides us with a splash of nature at the edge of the bustling downtown core. 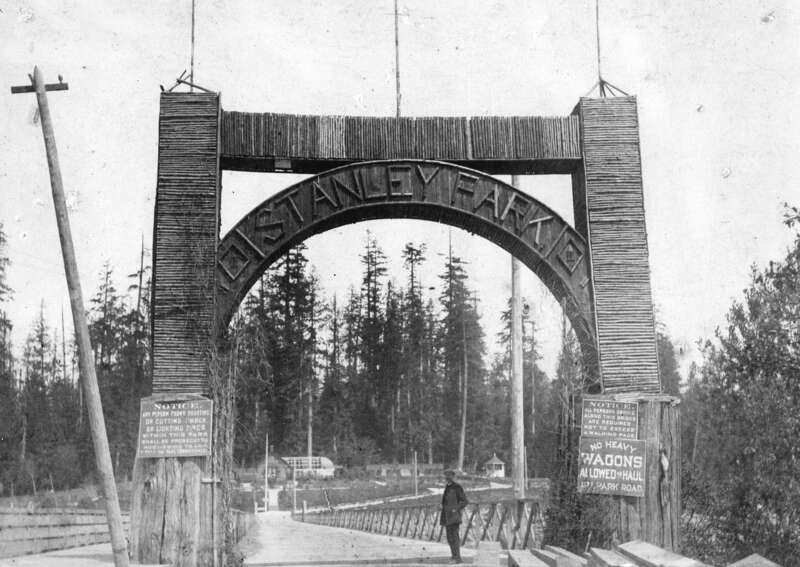 1895: Entrance to Stanley Park. Archives# St Pk P209. 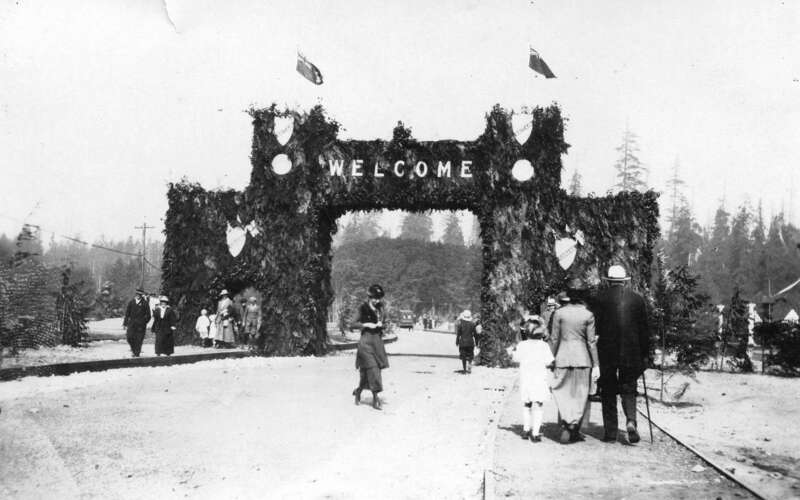 1919: Entrance to Stanley Park. Archives# CVA 1376-121. It was during this week in history that a census of every person entering the park was taken, including their mode of transportation. The results were published and it was noted that on the final day of the count, a Sunday, 21,738 pedestrians, 191 autos, 52 hacks (cabs), 367 rigs, 58 saddle horses, 148 bicycles and 173 dogs passed through the gates. 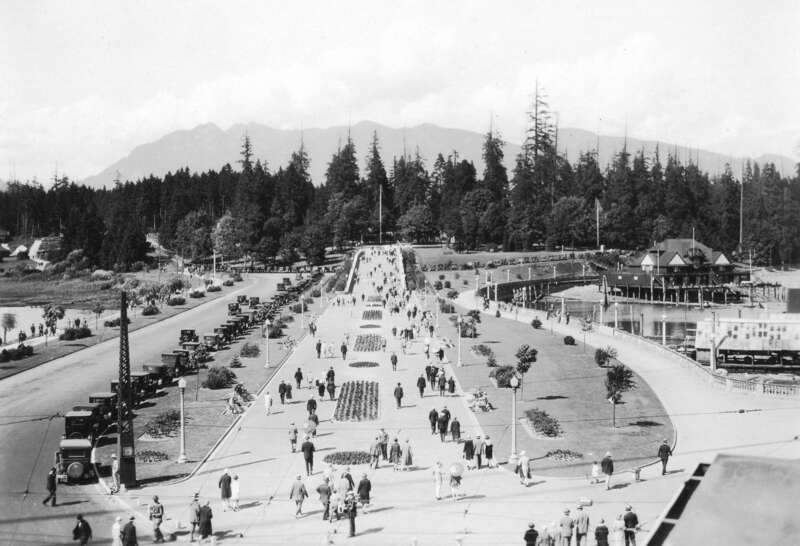 1928: Entrance to Stanley Park. Archives# St Pk P54. Those numbers are pretty impressive for 102 years ago. Today, we get about 2.5 million pedestrians, cyclists, and inline skaters every year, which works out to an average of 6849 cyclists a day. 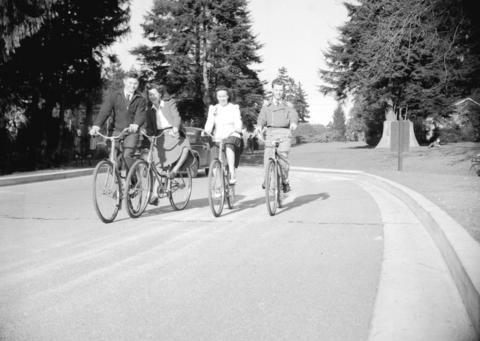 1942: Cyclists and pedestrians at the Stanley Park entrance. Photographer: Jack Lindsay. Archives# CVA 1184-58 & CVA 1184-79. 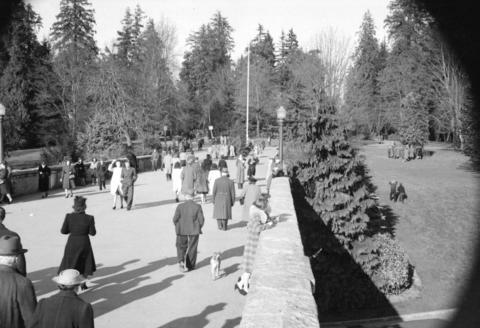 1940: View of the Stanley Park Causeway. Archives# St Pk P200. This 1,001-acre gem was created in 1888 and officially opened by Mayor David Oppenheimer. This summer, celebrate the 125th anniversary of the park at Stanley Park 125, a free two-day festival happening August 24th and 25th, 2013. For more history and information, browse the Miss604 archives for years of coverage, photographs, and history.